Pushup Paula says YES, YOU CAN DO PUSHUPS! Even if you've never done pushups before, even if you think you are too old, too out of shape, too weak, too tired, too bored, even if you think pushups aren't for genteel ladies and gentlemen, even if you would rather be eating chocolate and drinking white wine, Pushup Paula says YOu CAN do pushups and pushups are GOOD for you. It's a matter of starting where you are and working up to greater success. Pushup Poll: How do you Compare to Other Fitness Folks? What is your Approach to Doing Pushups? I do 100 every day before breakfast. Are you saying some people don't? I did pushups years ago but now I do Aerobic Shopping instead. I'm building up to it. I bench pressed the cat this morning. I hate pushups. I'm a delicate, fragile flower that blossoms at afternoon teas. What's so Great About Pushups? Pushup Paula says: "Oh my goodness. Many fitness aficionados claim that pushups are the single most important exercise for total body fitness? " 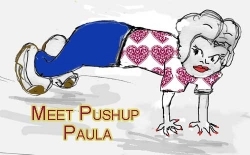 Paula says that pushups probably work more muscles of the body than any other strength building exercise. When you look at someone performing a pushup, you can see that he or she is working muscles in the arms, shoulders and back. 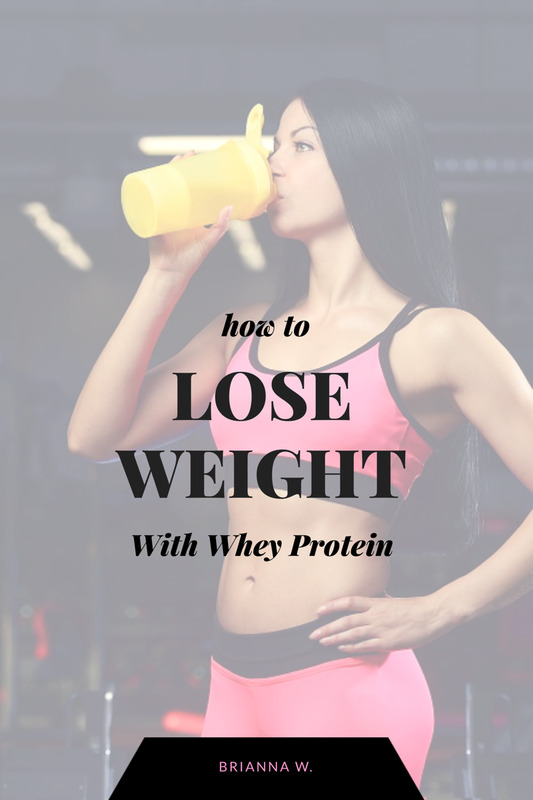 You may not realize it by looking, but they are also working the highly critical core muscles that keep the body upright and protect the inner organs. In the regular pushup, the legs are getting a workout also! Pushups are sufficiently important that almost all fitness workouts incorporate pushups in one form or another Even Hatha Yoga and Pilates have their own version of pushups. Many fitness professionals and personal trainers say if you have only time or energy for a short workout, the three most important exercises to do are pushups, squats and abdominal crunches. Tip: If your wrists hurt when you do pushups, consider using hand props as demonstrated in the video. The hand thingies are not just for jocks. They're a protective device for anyone, even beginners. In fact, they may be even more beneficial to beginners because they help those with weak wrists. Pushup Paula has met people who cannot do even one pushup. As a matter of fact, she has met people who cannot even do a Girlie Pushup! "No Problem," says Pushup Paula. "Just start building up your strength by doing wall pushups. Even pregnant women can do wall pushups without worries. To do a wall pushup, stand about two feet away from the wall. Stretch your arms out and place your palms on the wall, straight ahead of you. The fingers should be pointing upwards. Lean forward, bending your elbows out to the side but keeping your fingers pointing upwards. Come close to the wall so your nose is almost touching. Push yourself back to the starting position. If this is too difficult, move closer to the wall. If it is too easy, move farther away from the wall. Repeat the movement above eight times. Do three sets of eight Do this daily, gradually increasing until you can easily do three sets of fifteen. At that time, you are ready to move along to doing Girlile Pushups. You can also do this movement against the sides of a swimming pool. It's a good addition to a water exercise class. Pushup Paula has observed her wussiest students move up to doing Girlie Pushups, so she knows for sure it is possible. 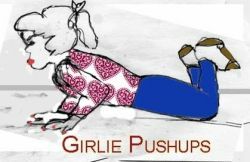 To do a Girlie Pushup, lie on your stomach on the floor. Bend your knees so your shins are at a 90 degree angle. Place your hands palms down on the floor roughly beside your ears. The fingers point forward. The elbows reach out to each side. Holding your body tight (this is where the core muscles come into play), push your body upwards and off the floor. Lower the body back down as far as you can go. Your body should not touch the floor, however. Repeat, doing sets and reps the same as you did with the wall pushups. The wider apart your hands are positioned, the easier it will be. Adjust accordingly, gradually working it so your hands move closer to your body. Lower your body as far down as you can go. If at first you cannot go low enough, do the best you can. The low position will come in time. When you can do this correctly and for several sets, move on to the regular pushup. Pushup Paula likes this man's approach. He demonstrates how to do girlie pushups and floor pushups the right way so you avoid injury to joints. This is his video for complete beginners. He has pushup videos for the advanced people at his web site. Plus, he's great eye candy. Paula urges you to watch the video. Pushup Paula says you start floor pushups (aka men's pushups) from the same floor position that you use to start your girlie pushups. Instead of bending at the knees, you tuck your toes under and lift your body from that position. For some unknown reason, fitness converts take great pride in doing 100 pushups at a time. Pushup Polly suspects that many reading this message are snickering at the very notion of doing 100 pushups. Maybe later. Pushup Paula thinks doing pushups on the Stability Ball is a fun way to add variety to your workouts. In this video, a perky young woman demonstrates an advanced position on the ball. When you are finished laughing and saying, "Never in this lifetime," remember that there is a beginners position on the ball as well. The rule of thumb is this: The closer the ball is to your feet, the harder the exercise will be. Just move around on the ball until your middle is positioned over the ball and your feet stick out behind. When you are in a position that allows you to perform the pushups, proceed. As you improve in time, reposition yourself accordingly. Stability balls are excellent exercise props. As you saw in the video above, doing pushup workouts on these balls is both fun and effective. Because you have the added challenge of keeping your balance, you work out your core muscles even more than in regular pushups. Pushups aren't the only exercise you can do on a ball. The DVD included shows many others. Also, if you spend much of your day at a computer, sitting on a stability ball periodically throughout the day is a wonderful way to improve posture and balance as well as strengthening back and core muscles. Pushup Paula has heard it all when it comes to excuses for not doing pushups or other exercise. She is confident that you have plenty of good excuses of your own. However, in case you run out, you might borrow from celebs and other famous people. Here's a dozen to get you started. Yeah, but who is she REALLY? Pushup Paula is LOOSELY based on a gal who uses a different alias in real life. I'm not about to blow her cover. She teaches a martial art, fer heaven's sakes. My mamma didn't raise no idiots. Looks great over here! 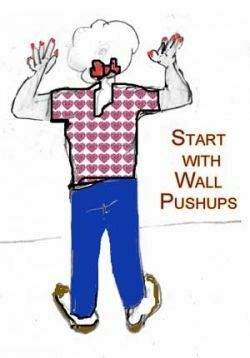 Maybe I will try the wall pushups. I can't even get myself out walking though. Too hooked up to the computer. Perhaps this will inspire me! Enjoyed. Great lens! Wall pushups are enough for me. I'm about to progress from wall pushups to girlie pushups... too many years of beer and pizza! Fun and very effective exercise kens, nightcats! You inspired me to try. It's been too long. I can only manage the girl pushups, but your lens was so much fun I'm determined to keep going. @Adventuretravels: Thanks. Yes, they are hard. I agree. I suppose I could start doing these too... but I don't like them at all they are really hard -even the girl ones!! lol Great lens. Push ups hurt my wrists, so I do them on my knuckles (martial artists often do this). Really fantastic lens. Well written and FUNNY! 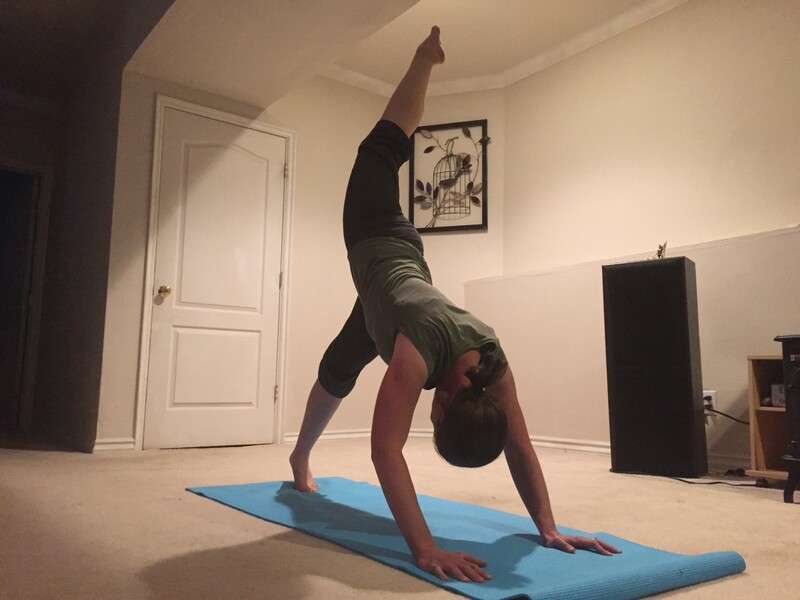 I am working on plank poses (front and side) every day for 30 days and I can feel myself getting stronger. Maybe after I get comfortable with side plank, I will move on to a push up 30 day challenge. @shay-marie: Pushup Paula is greatly impressed. Thanks for visiting. My husband is one of those nuts that does 100+ pushups every day. It's much cheaper than a gym membership! Hilarious! Loved this lens. Perhaps it persuaded me to start with pushups again. I hope. Thanks Paula! I love this article, like it was written for me! Now, I WILL start on my push up program since you blew my excuse that they only helped the arms and shoulders! I injured my shoulder years ago and a muscle guy at the gym told me the best way to get shoulders in shape is push ups. I started with wall push ups, then counter push ups, then girlie push ups and my shoulders are in great shape. Floor push ups are next! Thanks for the video. @InfoCoop: It is amazing what we can do if we start small and build up,. Great lens. I started 2 years ago and could only do one real push up. Kept at it daily and added one push-up per week until I could 50 at a time. Slow ans steady really does work. I wasn't really considering doing pushups but your title caught my attention. I read every word and am even considering trying some wall pushups. Don't want to be a wuss all my life. I love this! This is great! Thanks for sharing! I had been wanting to do this. I will first try the wall push up. Thanks for sharing. Great lens. Pushups are one of the best exercises to hit many different muscle groups. Thanks for sharing! i might start doing pushups right now ! Liked to your idea of wall push ups then leading up to girlie push ups. Thanks to you I have found the perfect on for me - wall push up. I am not pregnant, mind you! I haven't done push-ups in years. I'd have to start with the wall push-ups. Thanks for the ideas. I wasn't able to do pushups after I had a C-section with my son for nearly a year. Then I just never got back into it. Definitely need to start again! @sstock93 lm: Yes, you can often see results quickly,which is encouraging. Great info on Pushups. I recently started doing pushups just about every night. It is amazing how fast you can build your strength up. Really enjoyed your lens - you have inspired me to try to do pushups! Pinned to my fitness and exercise board and blessed. I got to start doing these again. Excellent write up. @PennyHowe: Oh well, since you're on the floor anyway, you may as well do a few extra pushups. If I lay on the floor I may not get up again! Thanks for your helpful exercises. Thanks for the tips. My doc tells me I need to exercise, but in the same breath almost tells me not to do the traditional exercises I'm used to doing. This should solve that problem. THANKS! Why can't I do a push-up? Why was I born without triceps? I started Insanity 3 days ago. I WILL have the ability to do boy push ups by Christmas!! What a great lens .... so encouraging ; now excuse now ! I do finger lifts every day. Need to work on the rest. Brilliant! Love this -- and I am starting with wall pushups! I can do 3 girlie ones now!!! LOL! @anonymous: Many thanks Tipi. It is always lovely to have a visit from you. Love all the good excuses. I can relate. I do lift a cat every now and then so I'm sort of in training. o_o i can't do a push-upâ¦â¦ hmmâ¦ i need to start step one! @ForestBear LM: Thanks for visiting and commenting. @KellyMediaBest LM: Thank for stopping by and commenting. @Cari Kay 11: Too bad, but then I guess you were well compensated with two adorable babies! @anonymous: Well, pushups will tone your arm muscles and if you lose 20 pounds, that should take off some of the underarm flub. But in my experience, if you are over a certain age and have batwings, they are usually pretty persistent. That's why many women resort to cosmetic surgery. 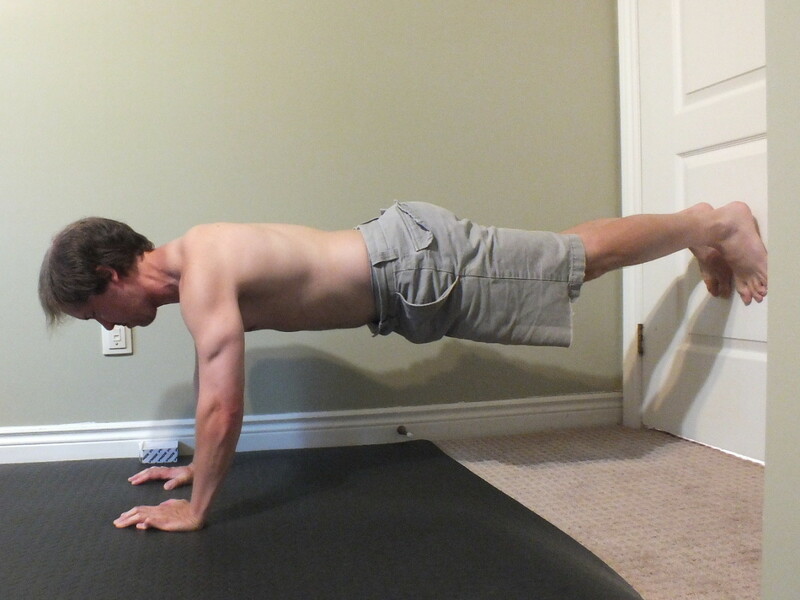 I have really bad knees and wrists so push ups can be quite difficult for me. I do however like doing wall pushups. I'm trying to lose 20 lbs for my best friends wedding and have started doing wall push ups to tone my arms. Will they help me get rid of that dreaded back of the arm flub? @Lady Lorelei: Thanks for sharing that information. I am sorry to hear of your illness but I am happy that you are dealing with it through exercise and persistence. @jlshernandez: I have never been able to do the men's style pushups myself. I do the simpler ones instead. I am certain that you benefit from pushups at any level. I suffer from a rare muscular illness so I have extreme muscle weakness. When I am in stronger periods then wall pushups are one of the exercises that I use to regain muscle. They are also great for trimming the tummy and firming the bustline and that is pretty nice. This was a fun lens that motivated me again to start doing pushups. It seems like I cannot even carry my own weight. But with the simple pushups you have illustrated, I can work my way up. Thanks for sharing. @kmyangel: Thanks, I will check that out. 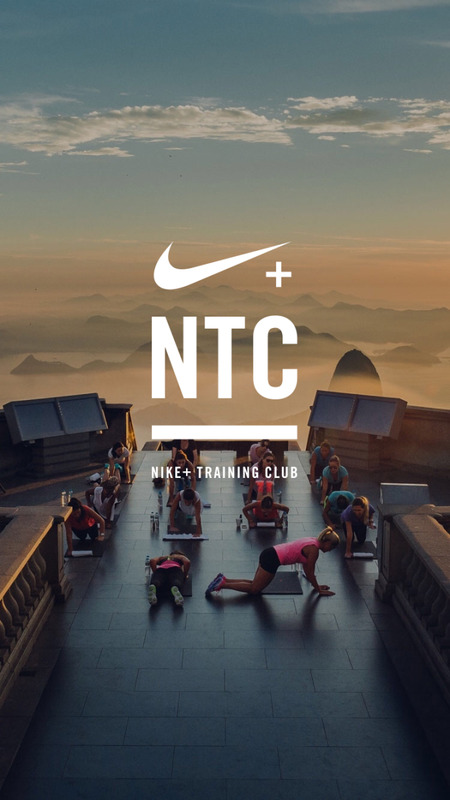 I love to workout either jogging or home workouts, I even did a lens with free workout videos if you are interested! Great way to start out slow and easy and work your way up...wonder if I can start a new years resolution in July? @LynetteBell: Good! Thanks for visiting. Really nice lens...think I might be able to do the wall pushup! @StewartClan: Thank you! And thanks for visiting. Hello, I really loved this lens. It is nice to see someone taking a more lighthearted view of exercise. We know we have to do it - and we can still laugh at it! I am going to have another go at push-ups after reading this lens. I like the look of that ball pushup idea too! I liked this lens! Haha... I can't push up until now, because my stomach is very big..
i think, i should to loss weight first, and i use kettlebell workouts program now. But, this Lens is great. Step-by-step make me know everythink about the basic of push up. Excellent lens - very well presented with awesome info! Blessed by a SquidAngel! @MelanieMurphyMyer: Thanks for visiting! Girlie push ups are just great. @imThemis: Yep, It works, too. What an interesting approach to push-ups! I am working up to girlie push-ups. May take a while, though. Blessings!